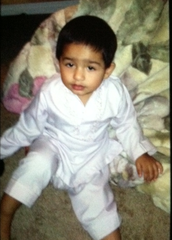 The Sacramento Police Department is asking for the community's help in locating a mother and her 18-month-old toddler who went missing. 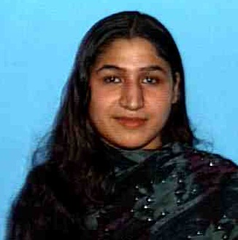 On Thursday, September 05, 2013, at approximately 3:00 p.m., 23-year-old Fariha Kanwal and her son Zakir Zamurad went for a walk and haven’t been seen since. The two were reportedly headed to South Side Park (2115 6th Street), when they left their home in the 400 block of V Street. Family reports there is no history of the two going missing and police wish to contact and check the welfare of the missing persons’. Kanwal was last seen wearing a blue outfit and Zamurad was last seen wearing a grey outfit similar to the traditional India Sari. The Sacramento Police Department urges anyone with information pertaining to the missing person’s whereabouts to contact the dispatch center at (916) 264-5471.